The Range Rover Sport is an impressive blend of sportiness and utility. Stylish enough for a night on the town but adventurous enough for the Colorado High Country. Land Rover Colorado Springs in Colorado Springs, Colorado has a great selection of the 2017 Land Rover Range Rover Sport SUV including the one pictured above. For less than $77,000, you can get a quality Land Rover with a 3.0L V6 turbo-diesel engine which delivers an estimated 22 MPG city/28 MPG highway. This powerful engine is paired with a seamless 8-speed automatic transmission. If you like a super variety of features, you won’t be disappointed with this luxury SUV. Some of the many features include navigation, rearview camera, heated door mirrors and surround camera system. In addition, heated seats, rain sensing windshield wipers, sliding panoramic sunroof, and so much more are available on this SUV. 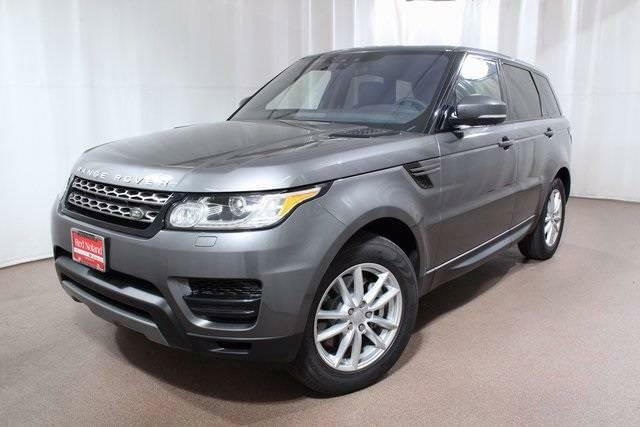 So, stop into Land Rover Colorado Springs today to check out this SUV. Let our Land Rover experts introduce you to the amazing power, impressive features, and luxurious comfort of this Range Rover Sport. Take a test drive to see that this is the perfect fit for you!